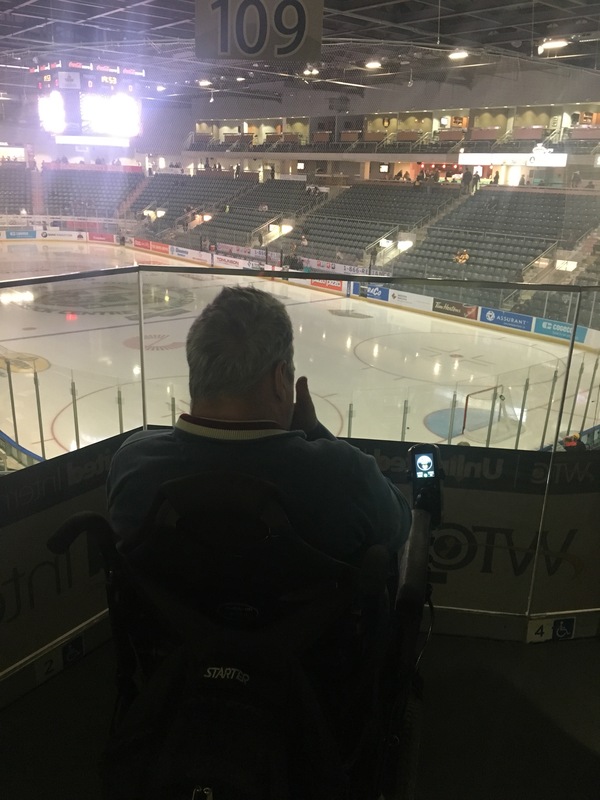 Kingston’s own OHL team, Kingston Frontenacs is a fun accessible night or day out. The Krock centre offers plenty of accessible parking. The parking meter was a little confusing since it said $3.50 for event parking but after feeding coins in the meter with no time added I gave up. So not sure if the accessible parking is free or not. We had great seats in the 109 section, which you would access through Gate 3, since that is where the elevator is. 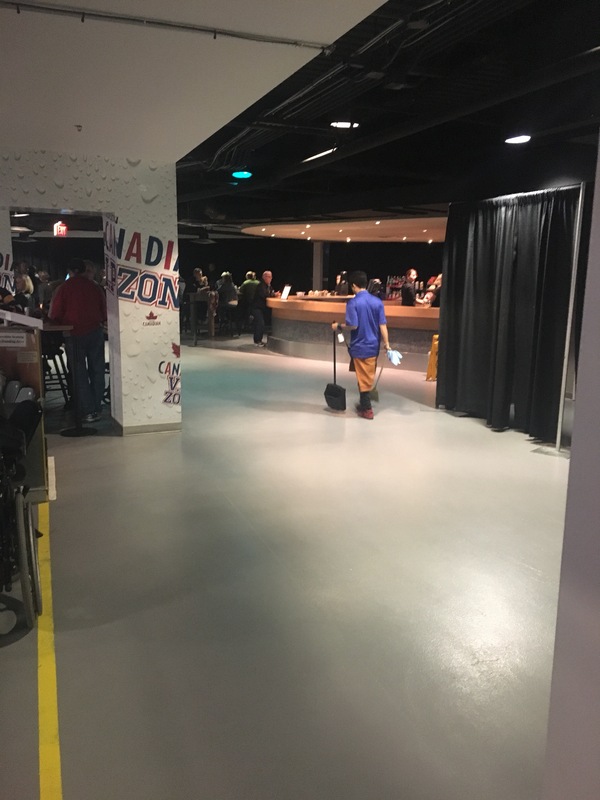 Section 109 WC is up one floor and perfectly situated close the the bar and accessible washrooms. The only bummer of the whole night was waiting for an elevator after the game. I felt like it took so long they were ready to turn the lights off and lock the doors. To avoid that maybe leave a couple minutes early or just wait patiently for an elevator.